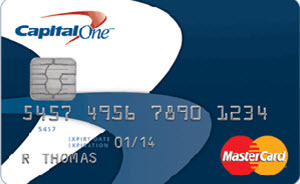 You can get a secured MasterCard credit card from Capital One even if you have a bad credit score. If you have a bad credit score (FICO below 550) you are likely to be declined when you apply for a normal non-secured credit card. This can be a significant problem for a young person who needs to recover and build up their credit score for the future, because the way you build your credit score up is by having access to credit and using it in a responsible manner. Simply not using credit is rarely enough to “heal” a bad credit score caused by defaulting on more than one loan in the past. This is where a secured credit card – such as the Secured MasterCard from Capital One – can be of great value. 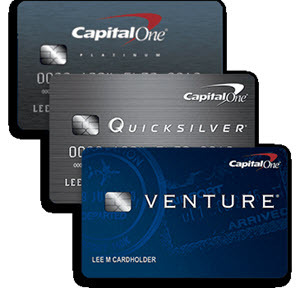 To get a Secured MasterCard from Capital One you must provide collateral by making a deposit ($49 or $99 or $200) that will be held by Capital One. You are likely to be approved for a Secured MasterCard from Capital One even with a bad credit history, and you can use your secured credit card to gradually build up your credit score. This will not only be of value when you apply for a standard non-secured credit card in the future, but also if you ever want to take out some other form of loan, such as a home mortgage loan. The secured MasterCard from Capital One is issued by Capital One Financial Corporation. Even though you have to make a deposit, the Secured MasterCard from Capital One is not a debit card or prepaid card. It is an actual credit card, and how you manage your credit will be reported to three major credit bureaus. This means that you can improve your credit score by managing your Secured MasterCard responsibly. There is no annual fee, so you can get this card even if you plan on living really frugally. The minimal required deposit (collateral) for this card will vary depending on your creditworthiness. The three levels are $49, $99 and $200. The deposit will be held as collateral and is only refundable if you close your account and pay you balance in full. If you make the minimum deposit required for you, you will get a $200 credit line. If you make a larger deposit than the minimum, you can get a higher credit line right from the start – up to a maximum of $3,000. To help you in your efforts to build up your credit score, you get free access to the Capital One Credit Tracker Plus. You can see your own credit score and also learn about how different actions will impact it. You need to make a deposit, since this is a secured credit card. The APR for your Secured MasterCard will vary based on the Prime Rate. The APR is Prime Rate + 21.49%. This is true for both purchases, transfers and cash advances. APR is updated quarterly and takes effect on the first day of your January, April, July and October billing periods. The cash advance transaction fee is either $10 or 3% of the amount of the cash advance, whichever is greater. The late payment penalty fee is up to $35. This credit card is issued by Capital One Financial Corporation. This is a company that specializes in banking, savings and credits/loans in the United States. Among their products are various credit cards, auto loans and home mortgage loans. There are roughly 2,000 Capital One ATMs in the United States. The history of Capital One Financial Corporation goes back to 1995, when Signet Financial Corp spun off its credit card division. Capital One Financial Corporation is listed (as COF) on NYSE and is included in the S&P 500 Component stock index.